Running in Newark, Hoboken, and Jersey City. Best places to run in Newark, Hoboken, Jersey City. There is some surprisingly good running in Newark, Hoboken, and Jersey City — but you do have to choose your spots. 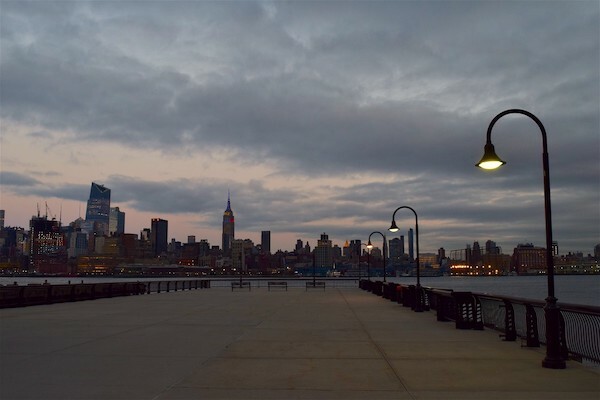 The running highlight in the area is the series of waterfront paths stretching for nearly 10 miles from Jersey City to Hoboken, and south to Guttenberg, feature great views of the Hudson River and the Manhattan skyline. 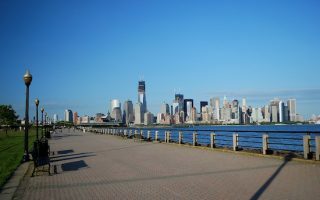 One of our favorite runs in New Jersey is Liberty State Park, with miles of waterfront paths, and views to Ellis Island the Statue of Liberty. For greenery, the Olmsted-designed Branch Brook Park is a classic. 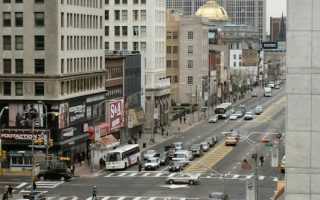 For some history and architecture, see our ‘runseeing’ tour of Jersey City’s historical downtown. Slightly further afield, we recommend heading to nearby South Orange, which has gorgeous parks and historic residential neighborhoods. 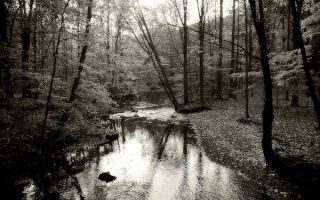 The best trail running nearby is the extensive South Mountain Reservation. 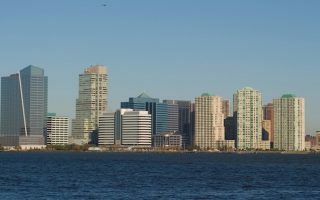 This area is well served by transport, with PATH trains and ferries to New York, train service, and light rail in Jersey City and Newark. Note that we have extensive coverage of running in the greater New York area, including Manhattan and all the boroughs. 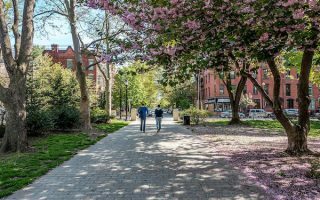 Jersey City's Historic Downtown is worth exploring by foot, with its 19th century brownstones and Victorian-era Hamilton Park and Van Vorst Park. Create your own route in this area, which can easily be combined with the waterfront path. Fantastic, festive waterfront path with great views of the Hudson River and Manhattan skyline. It's nearly 6 miles from Pier A park north, through Weehawken, to Guttenberg. The path links several parks, with fun extra jaunts out to piers. The Jersey City section of this great waterfront path runs for 3.2 miles from Morris Canal Park north to Hoboken. Great views of the Hudson River and Manhattan Skyline, as you run past the Colgate Clock and along numerous piers and promenades. One of our favorite runs in New Jersey. 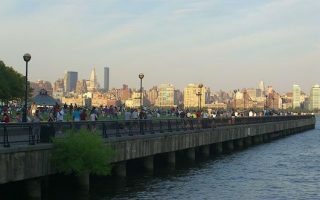 Miles of waterside paths and promenades line this green space, with great views of the Manhattan skyline, the Statue of Liberty, and Ellis Island. Our 6.4 mile loop features all the park's highlights. A 6-mile 'runseeing' tour of Newark, incorporating some downtown architectural highlights, a section along the Passaic River, and the historic Ironbound neighborhood. 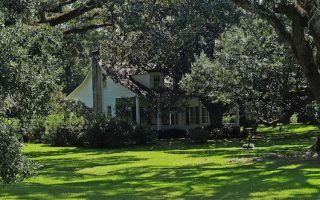 Olmsted-designed park that is on the National Register. 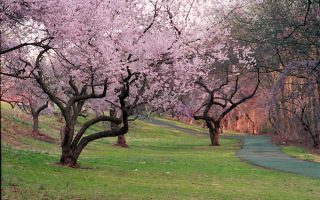 Beautiful paths line this historic park, which is also home to the largest collection of cherry trees in the United States. A loop of the paved perimeter path is 4.5 miles. Pleasant spot for running near Newark Airport. The park has lots of facilities: paved paths, trails, a golf course, a lake, and numerous fields. 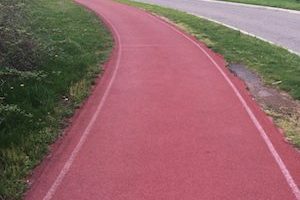 The rubberized running track offers a 1.5 mile loop, pleasantly shaded and with nice lake views. Worth a quick drive or train ride to enjoy a leafy run in South Orange's parks, the Montrose Historic District, and the campus of Seton Hall University. Cameron Park near S. Orange center and lovely paths in Monte Irvin Orange Park. A 2,000 acre park offering the best opportunity for extensive off-road and trail running in the area near Newark. There's great variety, including fields, gentler bridle paths, and more rugged trails. Good hill opportunities! The weather in this area is similar to that of New York City. Summers from June to August are typically warm to hot with some periods of high, uncomfortable humidity. Temperatures average in the 80s in summer. Winters are cold and damp, with average January highs in the 30s (4C) and lows dipping below freezing. Surface conditions can get icy but don’t stay that way for long. The are averages about 25 inches of snowfall. Spring is unpredictable but autumn is gorgeous and lingers well into November. Humidity is a factor, especially in summer. Jackrabbit, on Washington St. and right down the street a Fleet Feet store. Jackrabbit has group runs Tuesdays and Thursdays at 7pm and Saturdays at 8am. The Hoboken Harriers is an active running group with several weekly group running events. Calendar of local running events from the Hoboken Elysianettes. The Hoha Harriers runs a popular 5-mile race the Saturday of Mother’s Day weekend in May.